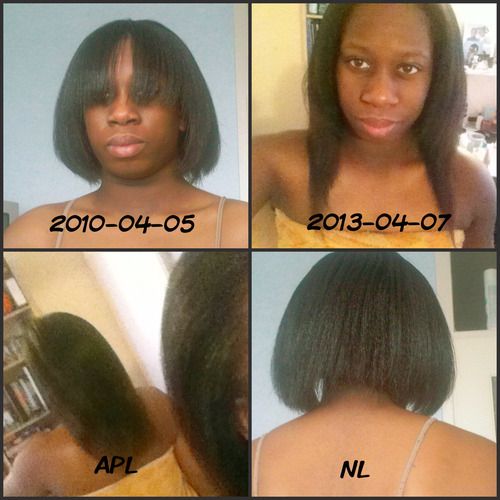 I started my hair journey in April, 2010. I remember that I was surfing on the internet looking for information about healthy hair. Over the years I damaged my hair real bad. It was thinning and breaking. I was looking at pictures of my childhood and I missed my thick and full hair. Ulovemegz is the one who saved me .. loool. She introduced me to the world of ‘Hair Journey’. Why am I on a hair journey? It’s a way for me to achieve healthy ‘relaxed’ hair. But lately I haven’t be happy with my hair journey. So I decided to start over again. I lost focus and doing different things at once. I need to take it back… So here I go ! !